We can connect you in whatever way you need. Business grade voice, internet and data telecoms. If you’re looking to get an ADSL or FTTC connection installed to your premises, more likely than not you’re going to need to install a phone line. We are able to offer a variety of different lines to suit your business needs. PSTN Multiline – Multiple analogue lines on the same number, usually connected to a PBX system. ISDN2e – is a 2 Channel digital voice line, based on copper circuits. SIP Trunk – Hosted SIP Trunk service, multiple channels to be pointed to in house PBX systems. A standard PSTN line is needed when you want to make calls over a traditional phone line. A PSTN line is also necessary when using services such as ADSL or FTTC as it acts as the bearer for those types of broadband. If you’re a small office or working on your own ISDN2e connections allow high-performance voice and data for up to eight digital devices whilst making twos calls at once. If you employee more than eight people ISDN30 offers you high-performance data services with between 8 & 30 channels. ISDN30 is the ideal solution for linking two or more offices and can allow you to provide all of your staff with their own DDI number. FreeClix Hosted VoIP offers a full set of features such as, fully featured IP PBX routing, interactive voice response (IVR), call queuing, hunt groups, audio conferencing and voicemail. For more information about our fantastic HVoice product that gives you 5000 inclusive minutes to UK landlines and mobiles click here. Hosted VoIP service are delivered across the internet and are dependent on the quality of the service (QoS) line provided. FreeClix can offer QoS enabled broadband services on either ADSL, Fibre to the Cabinet (FTTC), leased line or wireless links. All our lines are provided through BT Openreach. Call us now to discuss how we may be able to benefit your business. Why Choose FreeClix to provide your Lines and Access? We offer a wide range of products and services to fulfil the telecommunications needs of organisations of all sizes. Our solutions work with your existing systems for high-quality and reliable call connections. Benefit from increasing availability of data connectivity, increased speed, flexibility and a host of applications. With automatic and immediate re-routing of numbers SIP is a useful offering as part of a businessees disaster recovery and continuity plan. SIP trunking offers exceptional resilience. Number Porting made simple. Keep your number when you switch. We can port your geo and non-geo numbers on to our platform and deliver to any IP address in the world. Our technicians are on hand to help you when you need it. 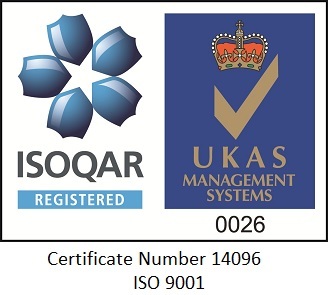 We offer a 24/7 service to customers and all our processes are certified by ISOQAR for quality (ISO9001). Unlimited call packages and premium features for your business.